I’ve noticed I am beginning to have some blog post sprawl as I update my UNMAP script over and over so I will be using this post from now on to record future updates. Please use this post as the final word on what is new with my UNMAP Script. Quick update. 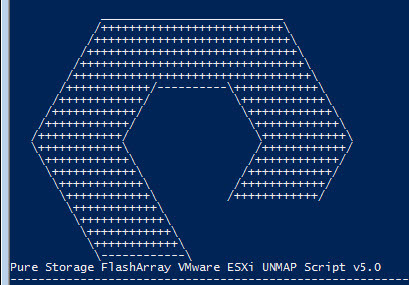 I have posted a new version of the PowerCLI UNMAP script that I maintain. I usually do not put a blog post out every time I update it, but there were enough changes here I think it was worth a quick note. 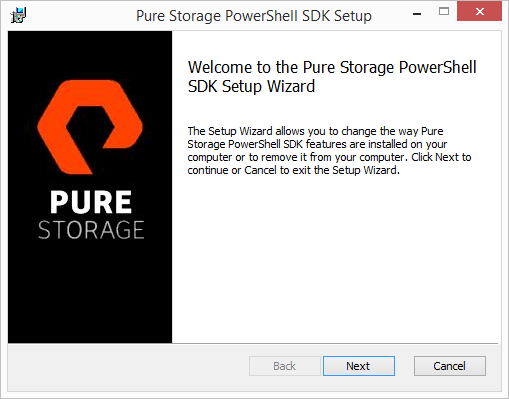 The most common request I get for scripts here at Pure Storage is an UNMAP script using PowerCLI. 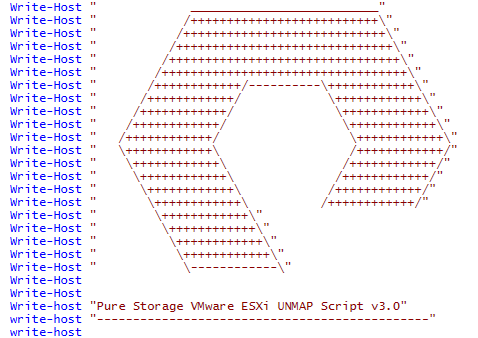 I have a basic one here that does the trick–UNMAPs Pure Storage volumes in a vCenter. That being said it is pretty dumb–doesn’t tell you much about what happened other than what volumes it is reclaiming (or not reclaiming) and moves on. A few requests have come in recently for something a little more in-depth. Most notably the ability to see how much space has been reclaimed. 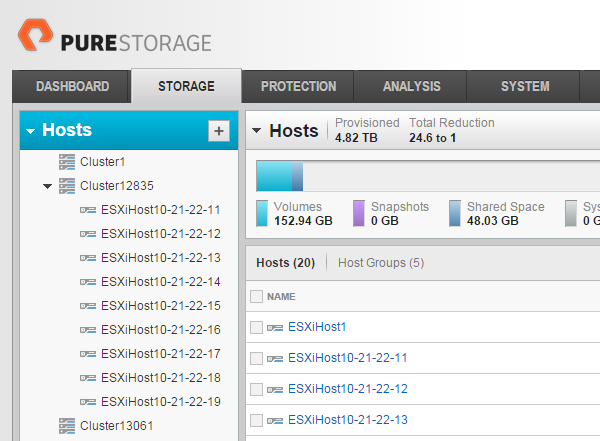 This information cannot be gathered from the VMware side of things–it has to come from the FlashArray. If it is, the current data reduction ratio is reported and so the is current physical written capacity on the FlashArray. Reports the new data reduction and physical space after UNMAP completes and how much was reclaimed. Repeats for the rest of the volumes. The script reports all of this to the console window, but it always throws it in a log file through add-content. If you don’t want it to return the info to the console, simply delete the write-host lines. If you don’t want it to log, delete the add-content lines. 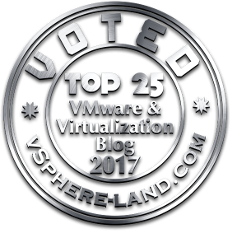 There are a few required parameters–vCenter information (IP, username, password), FlashArray info (IP, username, password), UNMAP block count and a log file location. These are hard-coded parameters, but that can easily be changed by altering it to a read-host. You may also note that after each UNMAP the script sleeps for 60 seconds–I do this so I make sure the FlashArray has time to update its information right after the UNMAP. 60 seconds is VERY conservative–probably 10 or so is fine, so feel free to mess with that number if you don’t like waiting. I also have another sleep at the end of each datastore operation to give a quick chance to review the latest results before it starts spewing the next datastore information on the screen (note this update didn’t make it into the video demo below–it doesn’t wait after each datastore). See the script in action below. Essentially I am deleting a bunch of VMs across 4 datastores and then running the UNMAP. You can see the space get reclaimed on the FlashArray. Note: You need particular access (see a blog post about that here) to vCenter to run UNMAP. For the FlashArray only Read Only is needed (higher of course is fine too).